1. Make sure the child you want to register is listed in your account. 2. Each child you want to register must have an active US Lacrosse membership. To check membership status, go to uslacrosse.org. The registration system will also redirect you to renew membership. 3. Go to Registration to start the registration process. Choose the age group for the child you want to register then click Continue. 4. You will be asked to agree to a Lacrosse Liability Release Agreement, an Image Release Agreement, and an Authorization to Treat a Minor. 5. A donation will be requested. Please donate! 5. Complete the remainder of the form. You will receive an email confirming registration within a few minutes. You will hear from your athlete's coach when the coach assignments are complete. 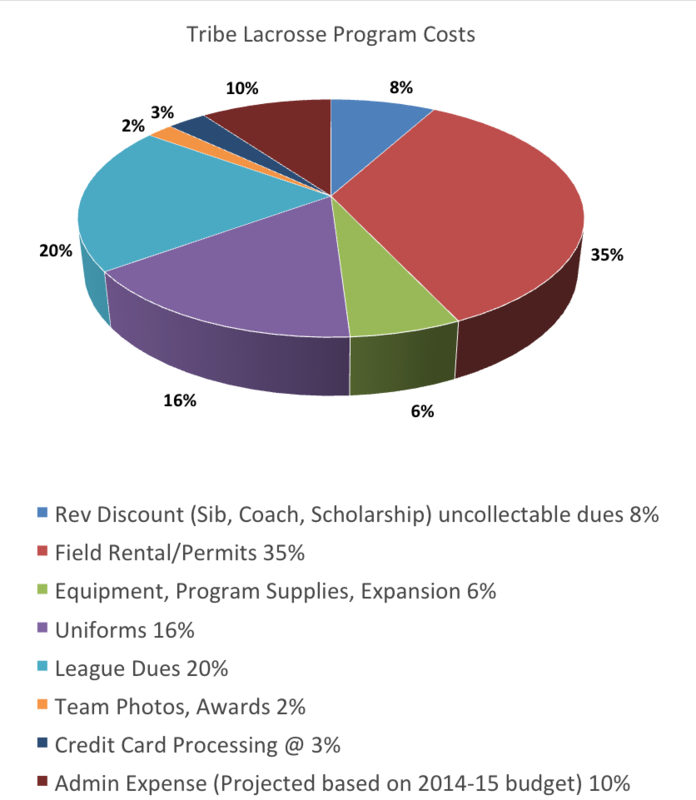 Major expenses covered in registration include field permits, league fees, uniforms, and equipment as well as projected administrative costs. Please refer to the graph for a detailed breakdown of where your registration dollars go.